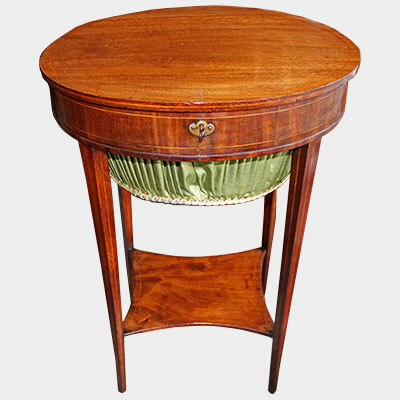 Regency rosewood and boxwood inlaid tripod table with turned column and brass casters. 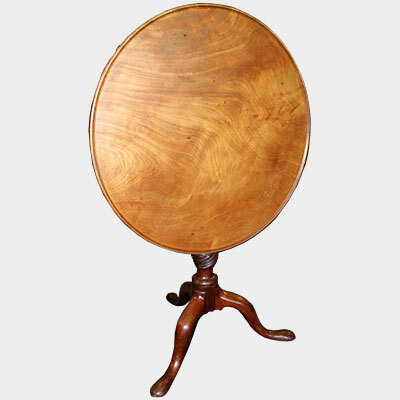 George III tilt top mahogany dished top tripod table on pad feet. 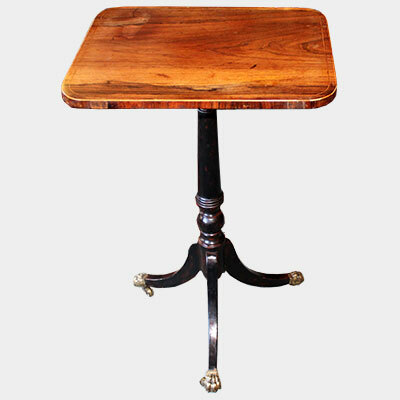 George III mahogany tripod table. 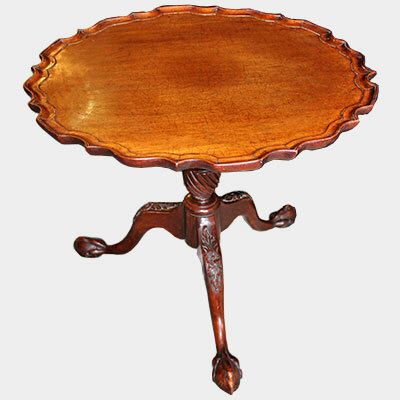 19th century mahogany and inlaid oval occasional table with under tier. 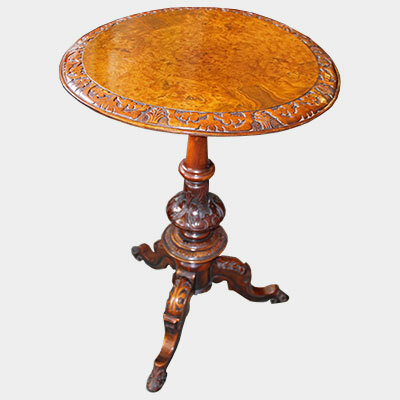 Victorian figured walnut tripod table. 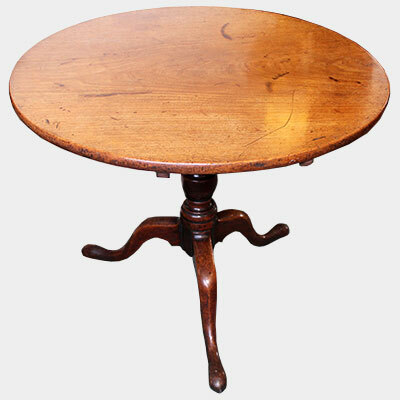 Good quality mahogany piecrust tripod table with carved cabriole legs, wrythen twist stem. 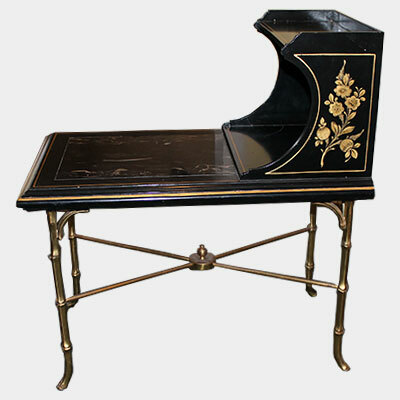 Decorative black lacquer and marbel occasional table. 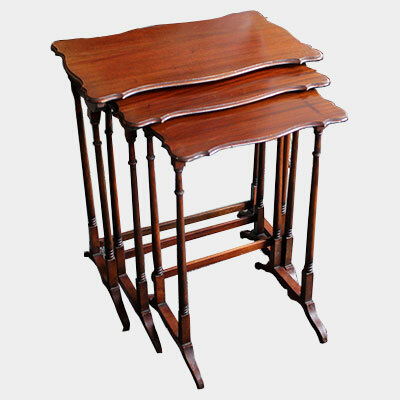 Edwardian mahogany nest of three tables.